Want to sell in 2019? Invest in digital marketing. And we are not necessarily talking about money, in this type of marketing, often the investment of time and effort are equally effective. Digital marketing simply can not be ignored. No one is contesting the power of traditional marketing, but the truth is that times have changed, and businesses that do not have a solid online presence are losing visibility. Social media, live streaming, and the ease of creating and consuming digital content have made the Internet the right place to build a brand. To sell to an online audience, you need strategies that work online. It’s the digital marketing that you seek and like everything in the virtual world, it is constantly changing and updating. 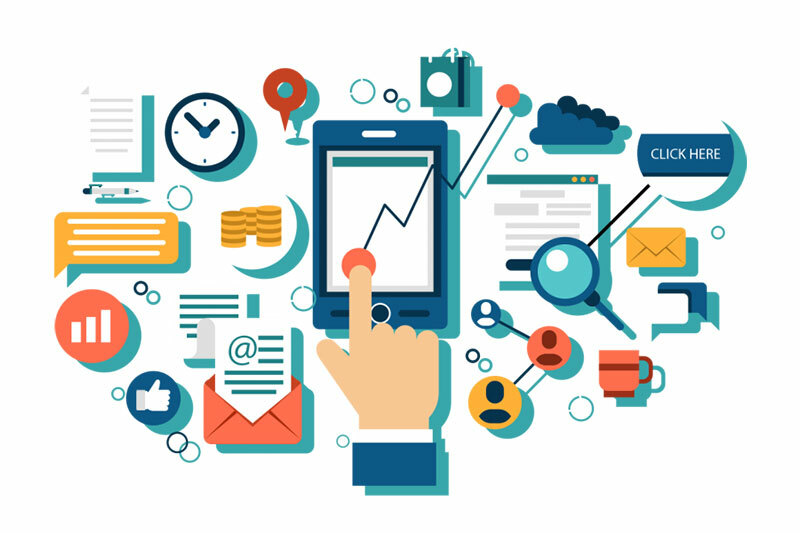 If your goal is to promote your business, sell more online courses, and stay competitive in the market, check out the top digital marketing trends for 2019. Facebook continues as the largest social media platform, but the profile of most of its users have been changing. In the United States, a recent survey found that 41% of its users are over 65. One explanation for this change in user profile was the platform’s investigation into data breach. After that, Facebook gained the reputation of being the preferred social media for arranged political propaganda, which generated a continued decline of popularity with the young public. But fortunately for Facebook, their biggest threat is no threat since they bought Instagram. The social network optimized to make it easier to share photos and videos with a smartphone, which is now the most ubiquitous device on the planet, has been growing nonstop for a long time. The meteoric rise of Instagram has already surpassed one billion users, an impressive achievement. Aware of these facts, it is important that digital marketers use every plataform for campaigns focusing on specific target audience. But make no mistake, Facebook is still huge, and many Americans continue to check in daily. Chatbot is a software that acts as a virtual attendant, communicating with users and helping them complete their goals. Chatbots interact with users primarily through the use of text chat windows, but verbal interactions are also possible. This tool is already used by many online companies to fulfill the most diverse tasks, such as answering customer questions, passing information about the services provided and guiding the consumer in the buying process. The bots allow users to get personalized and focused interactions without requiring human labor to do so. The proven effectiveness of chatbots has led to a significant increase in the use of this feature in 2018, and this usage is likely to continue to grow and be applied to digital marketing in 2019. With the advancement of artificial intelligence over the years, chatbots have improved their ability to maintain a basic conversation with visitors and answering the most frequently asked questions. Although many websites offer online support systems with live attendants, the system still causes the customer to face long waiting periods. A chatbot is cheaper than hiring a customer support person and is able to answer questions from visitors almost immediately. Digital video marketing is another trend that remains strong. The number of hours a day people spend watching video on the internet grows, as it becomes increasingly easier to record and publish videos online. To improve, the video is now paired with incredibly accurate digital media metrics to provide data on the performance of some marketing action. Whether you’re creating videos for Instagram, Facebook, YouTube or even your own website, this is an incredibly effective digital marketing feature that you can use to convey information and give a “face and personality” to your brand. While video is a valuable tool, it should be noted that one of the fastest growing digital marketing stars is live video. Part of this is due to the huge increase in streaming services, thanks to popular channels such as “Twitch”, which allows people to easily stream video games. Live broadcasting is especially valuable for digital marketing when combined with influence marketing. Making a live streaming in partnership with an influencer (celebrities, athletes, musicians, etc.) who is interacting directly with the comments is a great draw for the public. The spontaneity and interactivity of the live broadcast can bring excellent results when done correctly, with a well-chosen personality. It’s authentic: with live video, viewers can watch events as they occur and there’s no sense of a “manipulated” video. It’s cheaper: there is no production and editing costs, your only need is a camera and internet connection. It creates expectation: the opportunity to watch a live event creates excitement and expectation, generating more commitment on the part of the public. On top of all this, keep in mind that many people prefer watching videos than reading a text. Having video versions of your written content allows you to reach out to a wider audience, and when you consider YouTube to be the second largest search engine today, it creates many opportunities for you to be seen and sell more online courses. Thanks to Siri, Google, Alexa and a number of other smart programs, verbal interaction with devices continues to increase. The simple argument for voice search has become a trend in digital marketing, is that talking is an easier and faster way of interacting. However, this presents some interesting challenges. Performing a voice search is very different from typing a query term, especially in relation to the results. When a person performs a text-based search, the search engine displays one page at a time with countless results. But when someone asks something to a device and it responds verbally, only a few options are provided, if not only one. This means that preparing to use voice search will require a different approach, but it is a digital marketing area that can not be ignored because people trust and seek for it more than ever. On the other hand, the use of voice command is not restricted to just searches on the internet. With improved voice recognition, smart speakers can be used to order items and control smart devices in your home, only through verbal commands. According to a study by OC & C Strategy Consultants, voice commerce was a retail segment of $ 1.8 billion in the US and $ 200 million in the UK in 2017. This figure is expected to increase to $ 40 billion in the US and $ 5 billion in the UK by 2022. Now, you may be wondering how this affects your business. Voice search usage is increasing on mobile devices: by 2016, voice searches accounted for 20% of searches on Android devices, and continue to increase. 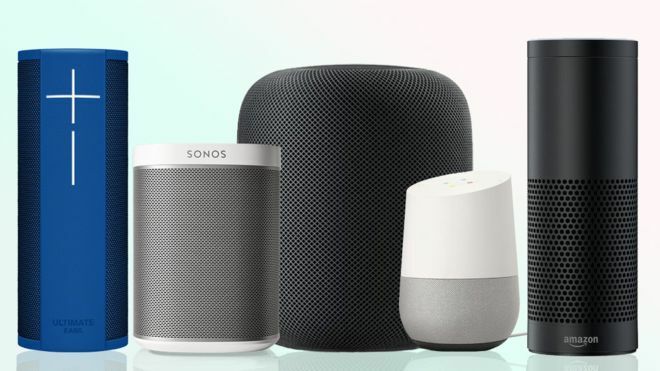 The smart speakers are becoming more popular: with the introduction of Amazon Echo a few years ago, followed by Google Assistant and HomePod from Apple, smart speakers are becoming popular household items. For those who are not familiar with smart speakers like the ones mentioned above, they are a kind of little music box that sits in the middle of the room. But instead of playing music, they have virtual assistant and obey voice commands. That is, you ask and the device responds to things such as “Is it going to rain?”, “What time is my medical appointment?”, “What time does restaurant X open?” “What movies are on?”, “How much is 2 + 2?”,”How much is the dollar?”, etc. According to a research by NPR and Edison Research, 39 million Americans currently have a smart speaker. Content marketing continues to be an essential component of digital marketing. Quality will always matter a lot, but now there is a renewed interest in looking more deeply into who the intended recipients are. 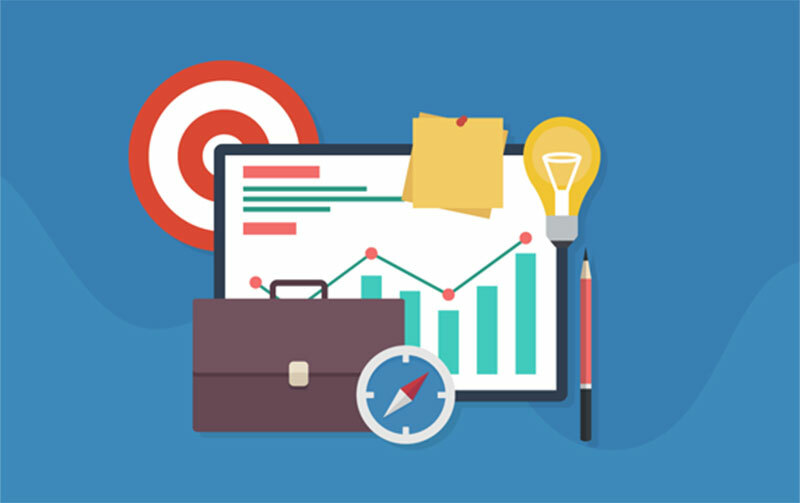 Having a deeper and more sophisticated understanding of a target market and being able to reach that market more accurately is a growing trend in online marketing. So while the general content for audience was, is and always will be important, a specialized material, produced for specific industries or specialists can also bring impressive results. This, combined with improved techniques for measuring content effectiveness, keeps content marketing relevant and moving forward. Much better than a company talking about itself, is to show your potential customers what your current customers think. Achieve more prospects: with user-generated content, your current customers are marketing your products to you. It’s like a mouth-to-mouth campaign. It’s free: you do not have to spend anything and it’s more effective than most of the marketing channels you use. According to Bazaarvoice, user-generated content has an impact on the purchase decision of 84% of millennials and 70% of baby boomers. People are more persuaded by a consumer who understands their needs. There isn’t much more to say about why you should invest in digital marketing to sell online courses. The advantages of online marketing are clear and, above all, indispensable for anyone who wants to build a business on the internet. Our advice is to you to keep an eye on the trends we are presenting and get ready to get ahead of the competition this year. Keep producing content, sending personalized emails, recording videos and updating your social networks, all this is still worth a lot. But never forget that digital marketing is constantly in the process of improvement and transformation, just like everything on the internet. 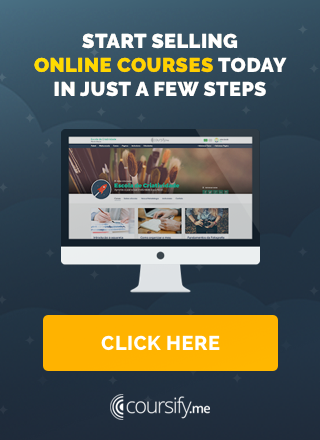 To make the job of selling online courses a little easier, you can count on Coursify.me. Elearning platform (LMS) fully optimized for SEO, the Coursify.me also allows you integrate the page of your course with your social networks. Present in more than 60 countries, Coursify.me is the ideal solution for anyone who wants to create, promote and sell online courses. Visit our website, know our resources and start your business now without having to invest anything.